In 2008 the whole commercial world was overwhelmed by a state-of-the-art technology called Bitcoin which altered our attitude towards finances in general by introducing digital currency. It was the first system that allowed people to transfer money through the Internet safely and anonymously to whatever place they want not being afraid of fraud. That was a real breakthrough! This payment system was not controlled by a government, and its so-called blockchain technology enabled people to buy and sell goods without paying fees for transactions. Later this method was implemented to create applications which reach far beyond a simple digital currency support. Using Bitcoin system as a model, Ethereum, one of the largest software platforms with no governmental supervision was launched in 2015. 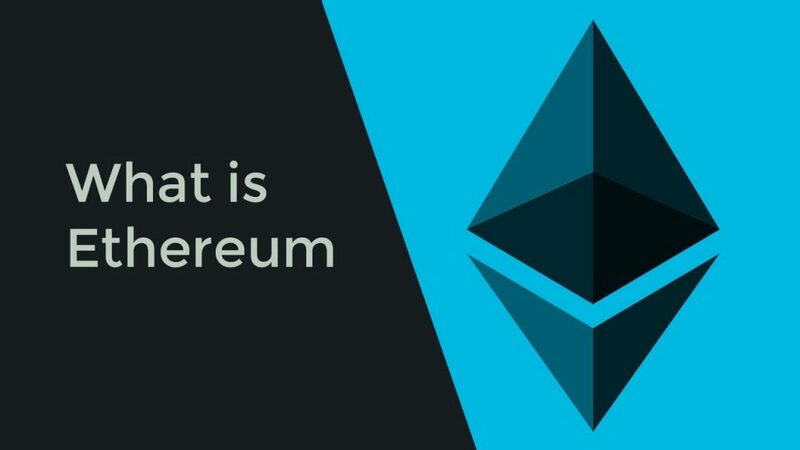 Ethereum digital currency consists of Ethers that can be traded in different digital exchanges. After its appearance, the price of Ether was constantly growing till it reached its top in March 2017 – clients had to pay around 48 dollars per unit. The reason why this platform is so popular is not because of its digital currency but for other unique peculiarities. It is said that it was elaborated to provide those services Bitcoin is not able to. This platform operates through smart contracts eliminating the possibility of fraud, third party interference, and downtime. By means of smart contracts, a set of special codes, it is possible to exchange money, property, and anything else that has considerable value in a transparent and easy way without any additional fees. Consider it to be a real paper contract but in a digital format. The client receives the ownership rights for real estate or anything of the kind immediately after transferring the money. You just have to push the button, send your bitcoins, and the transaction is already done. No document or any other red tape that can slow down the process. Sound easy, right? But clients are able to perform their operations and get money if certain requirements are not met. These obligations are encoded in the very system, and the transaction is automatically approved if all demands are fulfilled. This process was elaborated by Vitalik Buterin, the founder of Ethereum, who believes smart contracts to be the program itself that validates a condition and checks whether that money transfer can be completed. If something is not fulfilled, the money is either blocked or refunded. To illustrate the work of this payment system, imagine that you want to buy a car from your friend. You want to pay in digital currency and initiate the process by creating a virtual contract with this person. You send money, and the ownership rights are being sent to you the same moment. When getting the money, your friend should provide you with a digital key that has to be activated till a specific date. If he doesn’t send you that key on time, your money is automatically transferred back to your account. And it is not possible to extract money from the account before sending the key. This guarantees the positive outcome of a transaction for both parties and excludes different types of fraud. The interests of both buyer and seller are protected. And this security code can’t be altered or hacked – no human interaction is possible. The very transaction is very fast, and if necessary demands are fulfilled by both parties, it will take just a minute of client’s time. This system can be applied in any type of business transactions – from various financial services to substantial property sales. When Bitcoin and the following digital currencies were invented, they operated exclusively as peer-to-peer digital currencies which limited their functions. Ethereum is an original, innovative platform and can boast the above mentioned unique features. The main engine of this system is special Turing complete software, Ethereum Virtual Machine (EVM), responsible for its proper operation as well as the security of transactions. It has a crucial role in the system as it spots and executes the arbitrary code which guarantees automatization of the process. It checks whether something can alter or distort the origin code. A bit too slow yet very useful, this software helps Ethereum to achieve its primary goal – a dynamic developing platform that ensures safe transactions and total anonymity. with bright prospects. In the list of top 5 digital currencies for investment, it keeps a firm second place after Bitcoin. With its help, people are able to preserve Ethers and other crypto-assets elaborated on the platform. Digibyte – What is Digibyte? Bitcoin vs. Litecoin: What’s The Difference? Digibyte - What is Digibyte? Next post › What Is Zcash?